In June, the fifth international climate change adaptation conference, Adaptation Futures, was held in Africa, a first for the conference series. 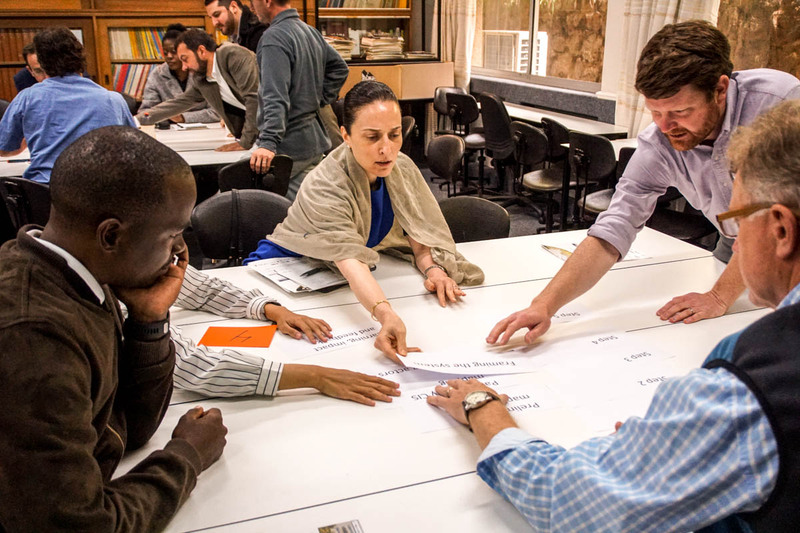 Around 1,200 people attended Adaptation Futures in Cape Town with a program that reflected the growing emphasis on climate information services (CIS) in the adaptation community. Ahead of the conference, the USAID-funded Learning Agenda on Climate Services in Sub-Saharan Africa hosted a full-day workshop with partners from the Climate System Analysis Group (CSAG) at the University of Cape Town. The Learning Agenda, consisting of the Mercy Corps-led Climate Information Services Research Initiative (CISRI) and the Winrock-led Sustainable CIS program, convened 65 participants to examine and discuss recent research on the generation and delivery of CIS. Throughout the day the participants — including researchers, donors, members of NMHSs and implementing partners — explored the needs of CIS end users, how to quantitatively assess the capacity of national meteorological and hydrological services (NMHSs), the role of public-private partnerships, financial revenue generation models for NMHSs, and the challenges of social and sector inclusion of CIS. The opening remarks of Professor Bruce Hewitson, director of CSAG, articulated an important theme of the event: data is not equal to information. For data to have value for end users, it must be contextualized. For knowledge to be empowering, therefore, the needs of climate information users must be recognized and understood. 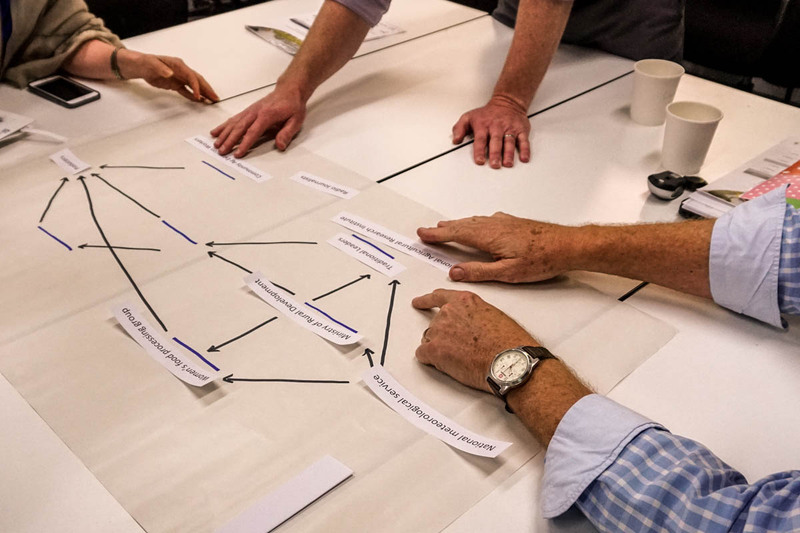 This requires considering the complexity of the systems within which climate information is produced and delivered, the contexts within which end-users work and use the information, and the many factors that drive decision-making. The way in which climate information is made available to different users in different sectors raises another fundamental question: can climate information be both a public and private good? This launched a discussion of different revenue models that can support NMHSs to deliver climate services sustainably, and the role of the private sector in producing and delivering CIS. A conclusion from the work to date on the climate and weather enterprise in Sub-Saharan Africa is that any private sector participation must be complemented by continued public investment in climate services. As panelist Floribert Vuguziga from Meteo Rwanda put it, we need to “invest in roots to grab fruits.” Vuguziga also commented that providing information in context can be challenging and partnering with the private sector to deliver information can lift a burden from NMHS’s shoulders. Other rich discussions during the day revolved around a new tool to quantitatively assess the capacity of NMHSs and gender and social inclusion. For the first time, the assessment tool combined the Global Framework for Climate Services along with World Meteorological Organization (WMO) categorization of NMHS capacity to create a standard approach to assess and compare NMHS capacity and gaps. The value of the tool was recognized, as was the need to further refine some of the metrics and indicators. During the closing panel, Kellen Eilerts from Viamo noted that CIS end users were a major focus of the day’s discussions yet continue to be excluded from these conversations. Increased representation of end users should be a priority in taking CIS learning forward. Similarly, Erica Allis from WMO pointed out the inherent power relations that are reinforced by “user/producer” framing, reiterating the need for users to be included in these discussions. Julia Bradley-Cook from USAID had a related remark, highlighting the need to move away from a linear view of CIS generation and delivery to one that includes feedback loops and the creation of a virtuous cycle. Ana Bucher from the World Bank emphasized the importance of showing the value of CIS to economists, embedding the value of CIS within ministries of finance, and engaging countries to ensure CIS is part of a country’s national climate change strategies. The Learning Agenda is extremely appreciative of the rich contributions of the participants and panelists at the workshop and looks forward to incorporating their inputs into the coming stages of our research. In particular, CISRI thanks participants for their input on the participatory CIS systems mapping methodology and plans to incorporate their feedback as the team finalizes the guidance materials over the next few months. The Sustainable CIS team welcomed the feedback on the metrics, the role of the private sector and how to think through revenue models for NMHSs that will be incorporated into the team’s final products. For more information on the Learning Agenda projects, please visit the project site and sign up for the quarterly newsletter. For a ClimateLinks article on this conference, click here.